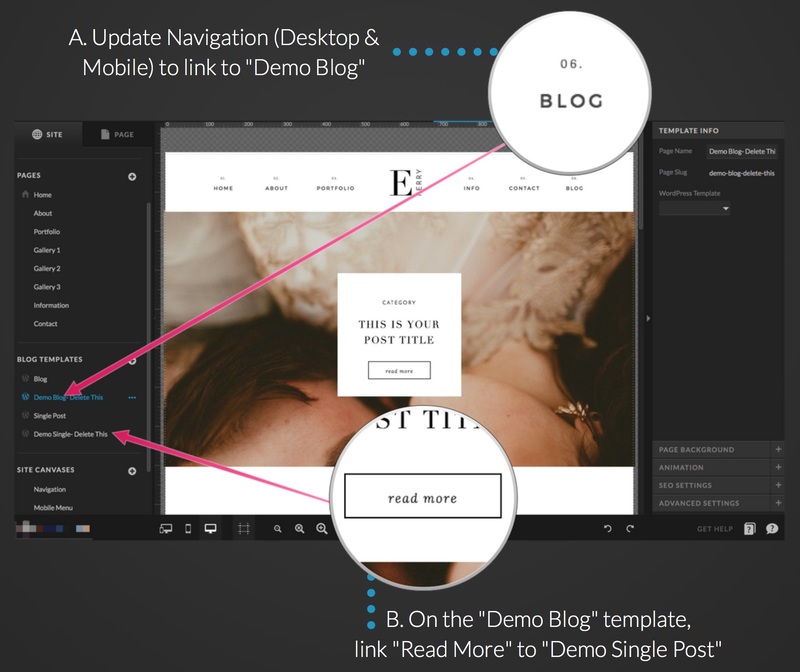 Follow these steps if you would like to create a demo blog andsingle post that would be visible from your published link. 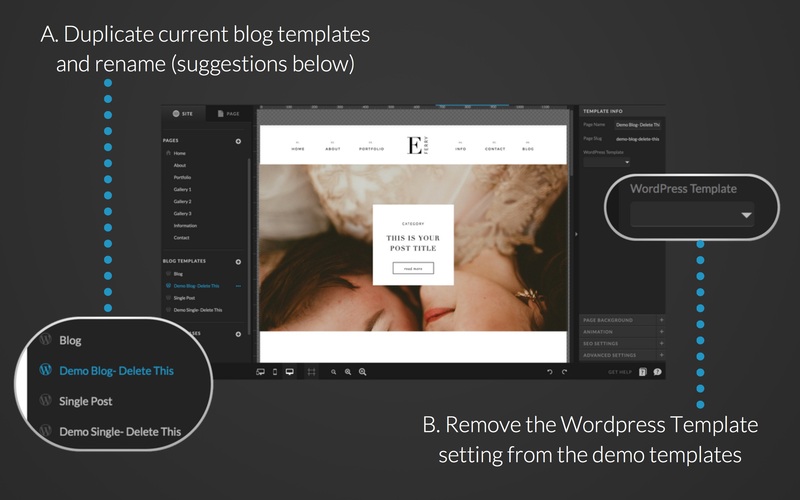 **The final user can easily update their navigation site canvases to link to "Blog" before launching their site. 3. Update the design to display how it might look when filled with live content from a blog. Demo Blog page: Duplicate the canvas(es) for a regular post and replace the example images, post title and post excerpt to give a good representation of what a blog with multiple posts will look like. Link all of those posts to the Demo Single Post page. Demo Single Post page: Make this page look like it's a real post by including images and text within the canvas currently holding your Post Content text box. Remember it's just a visual example...not a live blog page.